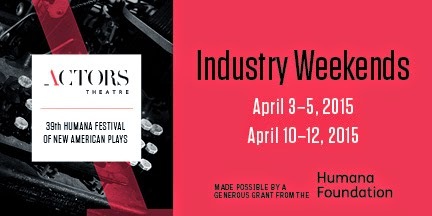 Although Actors Theatre of Louisville's 39th annual Humana Festival of New American Plays has already begun, there's still time -- a little time -- to reserve a package of tickets to the "Industry Weekends" that wrap up the Festival in April. The deadline for registration for the Industry Weekends is March 11, which means it's time to get moving if you want to be there! There are other new play festivals around the country, but the Humana Festival remains one of the most accessible, prestigious and enjoyable. The Industry Weekends -- the last two weekends of the Festival -- bring together press, producers, directors, agents, artistic directors, literary managers, playwrights, publishers and other theatre professionals, gathered to see a crop of new works by rising and established playwrights. Sharon considers herself a sensible, middle-aged Midwestern woman. 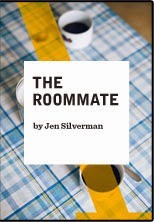 But when she finds herself in need of a roommate to pay the bills, she ends up with Robyn, a vegan from the Bronx who is secretive and a smoker. Sharon is persistent in her efforts to get to know Robyn and to show her that sharing and growing can be good things. But it may be Sharon who changes the most. At Christmas time, the Shealy family -- Dotty and her three grown children -- is in need of a whole lot more than a tree to brighten their inner-city home. In this "wild and moving dark comedy," Dotty Shealy and her kids will find open up issues of elder care and midlife crisis along with their Christmas gifts. Ghosts, earthquakes, haunted memories... That's the world seventeen-year-old Penelope discovers after her mother dies, when she movies to a small town in the mountains in California to live with her aunt. 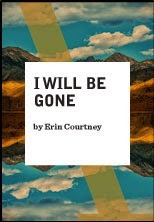 Set next to a ghost town, I Will Be Gone looks at "the beauty and awkwardness of living with the knowledge that everything ends." Thomas Merton was a world traveler in his youth, but a Trappist monk in Kentucky by the age of 26. He wrote some 70 books on faith and social justice before he died at 53. In this play, Mee celebrates what would have been Merton's 100th birthday with "a wildly theatrical meditation on happiness, love, the values of solitude and...seeking heaven on earth." 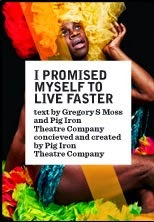 Philadelphia's Pig Iron Theatre Company brings its "unique method of performance research and collaborative creation, plus a signature physical approach to character" to Louisville with this delirious science fiction allegory about intergalactic nuns in search of a Holy Gay Flame. This year's showcase for Actors Theatre's Apprentice Company is all about bluegrass. 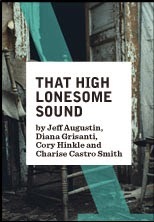 Or, as Actors Theatre puts it, "In a lively theatrical album of scenes...four writers respond with playfulness and poignancy to the signature sounds, inherited stories, and cultural impact of this very American—and very Kentucky—music tradition." 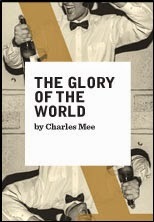 Note that Charles Mee's The Glory of the World is the one Actors Theatre's Artistic Director Les Water has chosen to direct. In addition to these six full-length plays, the Humana Festival also features a program of three 10-minute plays during the second Industry Weekend. Those are Rules of Comedy by Patricia Cotter, Joshua Consumed an Unfortunate Pear by Steve Yockey and So Unnatural a Level by Gary Winter. Winter's play won this year's Heideman Award, granted by Actors Theatre to the winner of its national 10-minute play contest. The Heideman Award also comes with a $1000 check to the winning playwright. 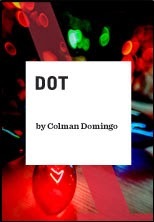 To read more about the three 10-minute plays chosen to be performed as part of the Humana Festival, click here. For more information about the entire Humana Festival of New American Plays and to find reservation information, visit Actors Theatre's website here.